We picked just the right time to tap the sugar maple just outside our back door. Twenty-four hours later, the two-gallon bucket was nearly full! 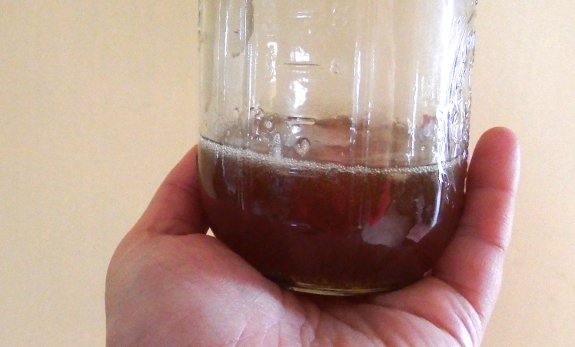 When tapping in Virginia, I couldn't taste any sweetness in our maple sap, but here the sugars are more condensed and are evident even in liquid straight from the tree. After boiling down a gallon and a half of sap, we ended up with half a cup of quality maple syrup. Just in time for Mark's weekend pancakes!